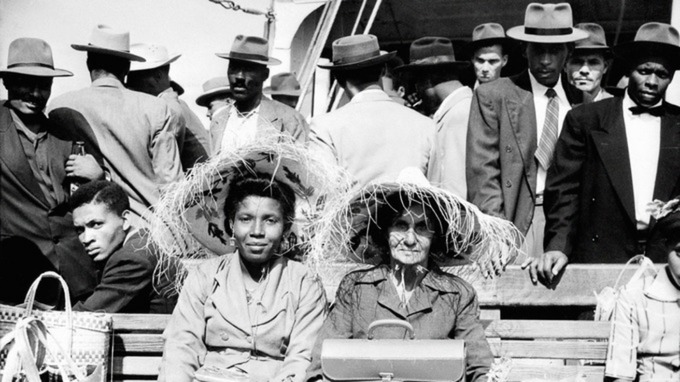 The moment when the ‘Windrush Generation’ joined the pageant’s chaotic whirl of characters drawn from modern British social and cultural history symbolised, for millions of its viewers (if not those people of colour with more reason to be suspicious of British promises), a Britain finally inclusive enough to have made the post-Windrush black presence as integral a part of its national story as Remembrance or Brunel. Today, however, members of this same symbolic generation have been threatened with deportation – and some have already been deported – because they have been unable to prove their immigration status despite living in Britain for more than fifty years. The Daily Mirror’s Brian Reade was far from alone in wondering where it had all gone wrong since 2012. 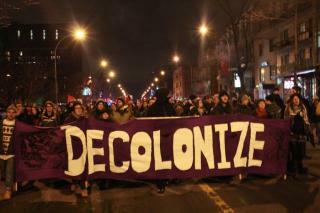 The age of decolonization is of crucial importance for our understanding of today’s world. By dissolving colonial rule around the world, this process led to the emergence of new sovereign states, thereby permanently changing international relations and international law. The third phase of decolonization is the one most closely associated with the term “decolonization” today – and which refers to the end of European colonial rule after 1945. The process of the dissolution of the European overseas empires had a profound effect on the course of international history during the 20th century. This process occurred relatively quickly given that colonial rule had existed in some cases for a number of centuries. Only after just 30 years, from 1945 to 1975, all the colonial empires had disappeared from the global map. A new book by the Centre’s Professor Martin Thomas shows how Britain’s impending withdrawal from Afghanistan and France’s recent dispatch of troops to the troubled Central African Republic are but the latest indicators of a long-standing pattern of decolonisation. Dr. Holt explores the crucial role of the short-lived Douglas-Home Government (1963-64) upon Cold War relations and British decolonization. With the 2015 general elections fast approaching, the story of Douglas-Home also proffers an illustrative historical example of how an impending poll can affect foreign policy. Last week’s death of Nelson Mandela prompted outpourings of both admiration and introspection across the globe. Public figures scrambled to portray themselves as long-time supporters of the anti-apartheid cause — even where the historical record of their organisation’s relationship with Mandela undercut the credibility of such posturing (the British Tories readily come to mind). Yet amid the panegyrics, there was plenty of consideration of Mandela’s complex legacy. When Tea Party favourite Ted Cruz declared common cause with Mandela, a supporter wrote on his Facebook page: “Tell the truth Ted!!! Who are you??!! Obama?? Don’t rewrite history to try to get people to like you!!! Educate them!! Mandela was a murderer, terrorist, and a Communist!!!! Can we even trust you to be honest now??! !” A more nuanced analysis appeared in an incisive piece in Foreign Affairs. Historian Ryan Irwin traced Mandela’s elusive legacy to his willingness to embody a pluralist and inclusive vision of the anti-apartheid movement, rather than imposing his own ideological litmus test for would-be allies—be they liberals, pan-Africans, union leaders, or communists.